Jonathan Van Eck started at Ressler & Tesh in 2012 as a legal intern while attending the University of Washington School of Law, before joining the firm as an attorney in 2014. 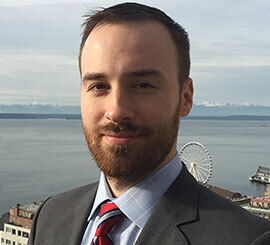 Originally from the East Coast, Jonathan moved to Seattle to pursue his passion for law. Jonathan focuses on motions practice and legal research for Ressler & Tesh.